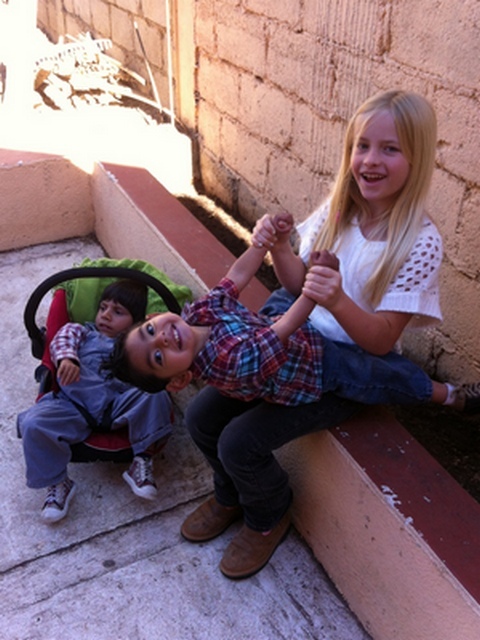 Due to a variety of changes in our situation and a series of random events, God has led us to a new orphanage! It’s not actually new, because we have known the family that runs it for several years now. But God has only recently led us to start working there. 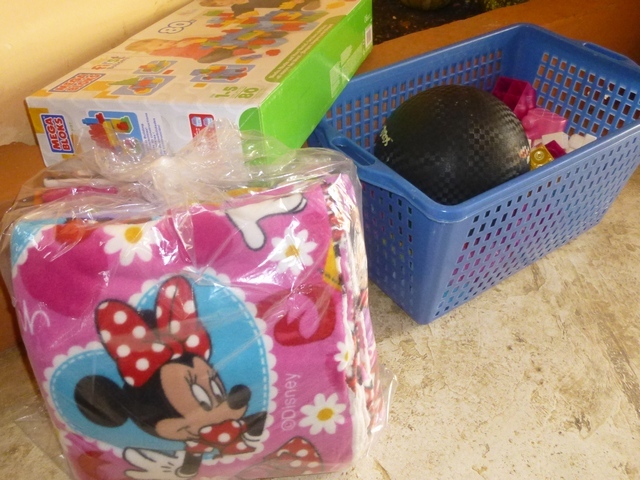 We ended up putting the “Christmas at the Orphanage” funds to good use there (after checking with the donors of course)! This orphanage used to just be the Dappen family, and they happened to take in a few kids off the street. But in recent years, the majority of the Dappen family moved back to the U.S. and it’s now a full-blown orphanage run by just 2 of the Dappen kids and a spouse! They currently have 22 children in their care, with over half of those being special needs kids. Some of them are very disabled, with need for constant care, braces, wheelchairs or medications. Others just need a little more help than the average child. But without exception, they are all precious! Cloe playing with a couple of the boys. Precious babies!!!! Compared to the other orphanage projects we’ve taken on, the needs the Dappens are facing are much more practical and basic. Such as food, working bathrooms, furniture and rent money. Beyond the basic needs, there is a serious need for extra medical funding. You will be hearing more from me here on this topic soon! But for now, I’ll show you where the Christmas Project funds went. 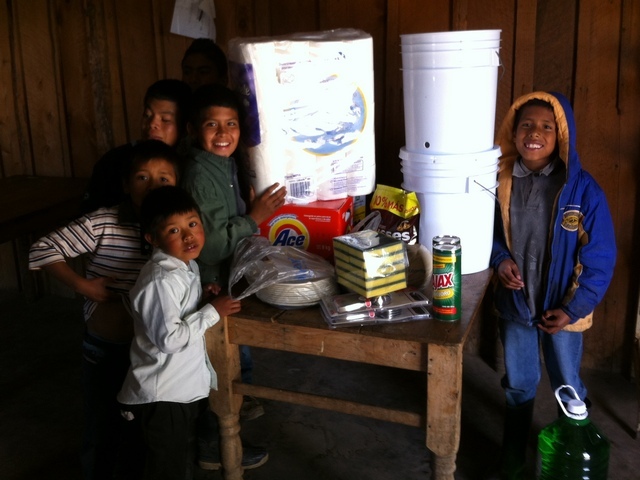 Water filters, cleaning supplies, non-perishable food, forks, soap, bath towels, paper goods, and a little chocolate! The majority of the boys are living on a ranch, learning and trying to grow their own food. Their living conditions are… how shall I say this… rustic? Very rough. The boys were SO curious about all the soap and cleaning supplies, and wanted to know which ones could be used on their hair. Hehehe! I told them I would bring shampoo next time, but please don’t use the Pine-scented cleaner on their bodies! It’s hard to see in this picture, but we bought 15 blankets (one of their first/most urgent requests), as well as a few laundry baskets, kick balls and boxes of mega-blocks. Lastly, FOOD! 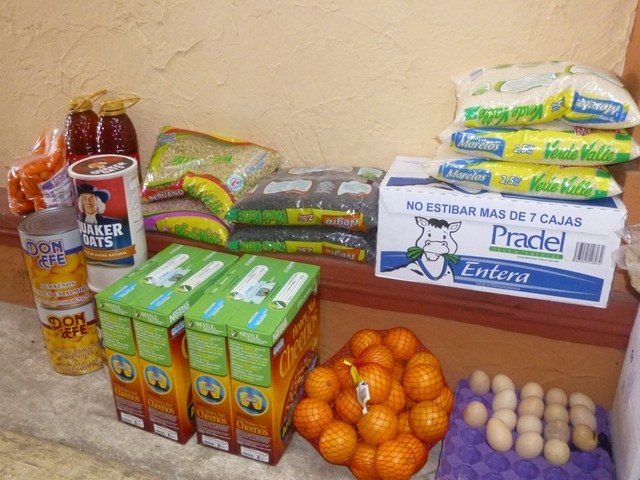 You can probably imagine how much food it takes to feed 3 adults and 22 kids (some of whom are teenagers). Or maybe you can’t? If you have the standard family of 4, just multiply your grocery bill times 5. That’s a lot of food! Especially if you want them to have good food that can help combat the malnutrition they have all arrived with. This, obviously, is an ongoing need. But we did what we could to stock them up for a little bit. Beans, rice, milk, oranges, cereal, canned peaches, oats, honey, carrots olive oil, and eggs! With the money you gave towards the Christmas fund, we were also able to pay their rent for the month, which was a huge prayer request answered for them. If you are on Facebook, please take a moment to follow the link to “like” and follow their page! Thank you for being part of this project, and making a difference in these children’s lives. You will not find more deserving or grateful recipients! !